Our Lego inventory is huge and always growing! We want our camp kids to be able to build the awesome sets that are difficult to get. To supplement all the cool sets, we have a stock of nearly 20,000 pieces for the kids to construct their own original creations! Campers will choose which sets they would like to tackle. 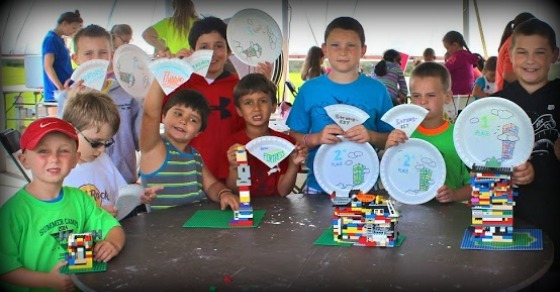 In addition to building the sets, throughout the week, campers will be challenged with inventive construction projects. Construct the tallest tower that you can and still have it support 10 pounds. How many "passengers” can you float in your Lego boat? Construct a bridge that can also hold the weight of a camp counselor! spatial concepts, creativity and imagination.